I really love living in a place with that “small town” feel. Concord is fabulous when you’re late dropping the kids off at school. 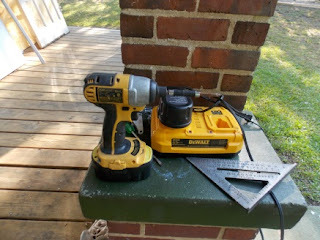 Cabarrus County is wonderful when you’re looking for goods or services and the only “Search Engine” you need is asking someone at the grocery store where they go for X. Twenty minutes later you have a new friend and a new handyman. One of the BEST things about Cabarrus County is the sense of community. Not too long ago I bought a pair of shoes and three days later a man in my Sunday school class told me his brother had sold them to me. People learn your name in Cabarrus County and they genuinely care about you -- even your shoes. Isn’t caring the bedrock of community? Another foundation of this community is faith. Our original settlers brought their religion and, before the 1700’s ended, Cabarrus County already had Lutheran, Presbyterian, Methodist, and Baptist churches established. You might say faith built Cabarrus County. 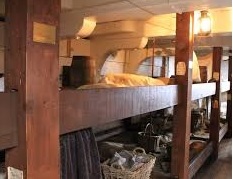 If you survived the crossing you still had to contend with potentially hostile natives, to clear and plant acres of land (by hand), and to construct a shelter. Then you and your neighbors worked together and built a church. Those early churches developed schools, fostered rebellion, and helped constructa new democratic government. Today’s churches continue to strengthen our community through their support of organizations like Habitat for Humanity. Volunteers from First Presbyterian Concord, Grace Lutheran, Kerr Street United Methodist, Cold Springs United Methodist, Saint James Catholic, Saint John’s Lutheran and Trinity Reformed United Church of Christ combined their efforts and built the very first Habitat Cabarrus house for Angela Greer in 1990. Over the next 25 years, faith built 140 Habitat houses and repaired 100+ homes for 800 people (400 children) in Cabarrus County. Jesus fed multitudes with five loaves of bread and two fish. That’s quite a miracle. The disciples probably didn’t realize exactly what Jesus had accomplished until it was over. Just like you may not realize what a miracle each Habitat house really is. Let me invite you to participate in a miracle. You. Your choir, your Sunday school, your church. In July, Habitat Cabarrus begins construction on the 2015 “Building on Faith” house at 312 Broad Street. Our goal is to raise $50,000 through donations (financial and in-kind construction materials). In addition 200 volunteers will be needed to put in nearly 1600 hours of construction. Jesus used a boy’s lunch to feed 5,000 and He can use you to paint, roof, drywall, and landscape to house a family. I love being part of a community where people learn your name and where different church congregations work together for the common goal of affordable housing for all. We all sweat in the Carolina summer sun. The same Jesus told us, “Love thy neighbour.” We can do both at a Habitat workday. We are all invited to build on faith. I never went to a certain railroad-themed park as a kid. So when we took our kids last year I had HIGH hopes for the outing. We had a lovely time and the kids were appropriately surprised when the good guys and bad guys battled it out – but it was smaller than I had imagined. Much smaller. The reality didn’t match my imagination. Another time my computer picked up a nasty virus and my husband ended up having to implement the nuclear option. He wiped it and reinstalled all the software from the ground up. It took him HOURS to clean up my PC. I thought for sure he would be angry with me but he wasn’t. I was so ready for one reaction that was caught pretty flat-footed when it didn’t materialize. Reality and imagination didn’t align. Have you ever had that experience – you plan for one thing to the point you can SEE it – and something else happens? Last night Barbara Gorman was all ready for the dedication ceremony for HER house. And, well let’s backtrack just a bit. Barbara came to Habitat through a circuitous route. Her marriage had broken up and it looked like her future was breaking down. She’d planned for her life to look one way, then it was headed in a whole new direction, and it was not positive. Her health had deteriorated and with the emotional stress of a divorce combined with the abrupt loss of income Barbara’s prospects were, frankly, dim. When Barbara approached Habitat for Humanity she didn’t qualify for the housing program. That moment could have been the end of Barb’s tiny sliver of remaining hope. But wait. That’s what our community did. We United and we Transformed. The City of Kannapolis, churches, corporations, colleges, other groups and individuals donated money, materials, and hundreds of hours of labor to build a new type of house (a Tiny House) for Barbara. There is a whole social movement around Tiny Houses that addresses financial and environmental concerns. Barbara knows she can afford to LIVE in her house. So she was completely prepared for the dedication ceremony. Presentation of the Bible – ok. Presentation of keys – got it. American flag presentation – all good. I’m pretty sure Barbara was surprised by those tears. She had probably practiced her remarks a few times prior to the dedication and felt confident that she knew what to do and what to expect. Then emotion overwhelmed thought. 2 Corinthians 5:17 says, “Therefore if anyone is in Christ, he is a new creature; the old things passed away; behold, new things have come.” New things have come for Barbara. Sometimes your reality is just better than what you imagine. 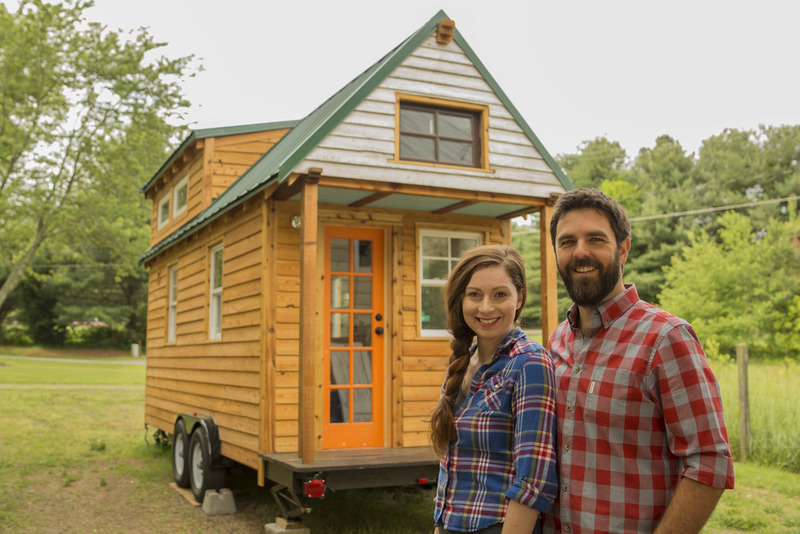 Come meet Alexis Stephens and Christian Parsons of Tiny House Expedition and tour their Tiny House at the Habitat ReStore on Monday, July 13th from 10:30 am - Noon. This filmmaker duo and ordinary couple are embarking on an extraordinary expedition across the nation in a tiny house on wheels. 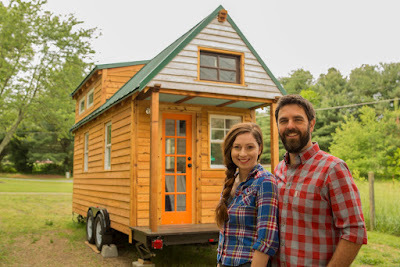 Their purpose is to document tiny house community building projects across the nation and tell the story of how each came into being, the people behind them and how they are making a difference in their communities. They are in town to interview our staff and Tiny House homeowner as well as to document the home dedication. Don't miss this exciting opportunity to be a part of the Tiny House movement! Visit their website or Facebook page for more information and see Cabarrus County featured!